Join CAPS and Adventure Canada hosting an afternoon photography workshop with Dr. Scott Forsyth and an evening combining story telling, song and photography from David Newland about the Canadian Arctic on Saturday, March 3rd, 2018 at the Golden Circle. 2.00 pm – 5.00 pm and 7.00 pm to 9.30 pm. Photographer, Dr. Scott Forsyth will provide a Workshop about his images of the wilderness and landscape which have brought him awards and acclaim. See what is behind the making of his images, often shot on location in challenging situations? 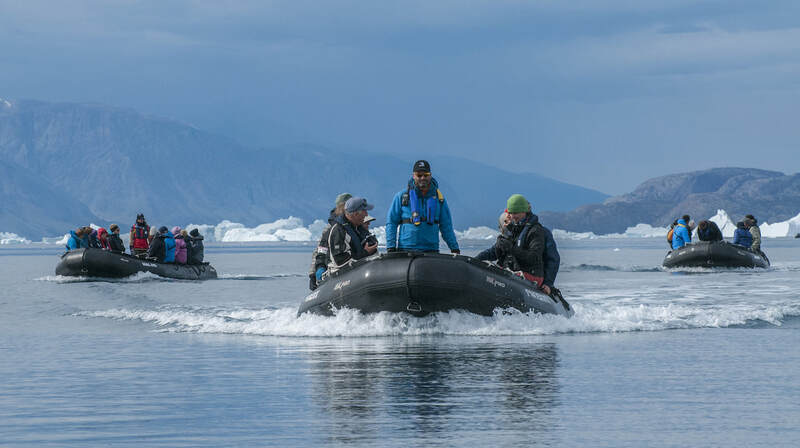 A tundra hike; a ship exploring a remote fiord; a zodiac darting among icebergs: these are locations from which Scott has created some of his most dynamic and memorable photographs. Capturing fleeting moments, making the most of available light, and meticulous after-care are all part of Scott’spersonal artistic process. Scott will share some of his images, tell the stories behind them, and explain how he combines opportunism, and artistry to make his finest works. David Newland will make a presentation called The Northwest Passage in Story and Song which is a musical and spoken-word performance of original songs inspired by the sights and sounds of the Canadian Arctic. Combining photography, storytelling, and live original songs, this performance conveys the emotional and spiritual impact of Arctic travel. These presentations are open to the public at a cost of $10.00 for Dr. Scott Forsyth’s workshop and $10.00 for David Newland’spresentation of Story, Song and Photography of the Canadian Arctic. The cost to see both presentations is $15.00. Attendance is limited to 150 individuals for each presentation. 50 tickets will be set aside for each presentation for those who wish to purchase theirs at the door. Location: Roy Simpson Room at the Golden Circle, 462047 Ave, Red Deer. Dr. Scott Forsyth’s presentation, 2.00 pm to 5.00 pm: David Newland’s presentation, 7.00 pm to 9.00 pm.